But what’s so special about Hawaii storage auctions in particular? After all, the storage companies on the mainland are set up the same way as the ones out here. The procedures and rules are quite the same, and perhaps the only major difference between Hawaii storage facilities and mainland facilities is that the rent is far higher out here. However, there is one special aspect common to all repossessed storage lockers that makes Hawaii storage auctions a bit more exciting…Let’s face it – Hawaii is remote. Stuck out here on a little rock in the middle of the vast ocean, people don’t have too many choices when it comes to making a major move and lugging all their belongings with them. The same principle applies to the extra shipping charges built into every price on the islands, from a gallon of gasoline to a bottle of ketchup. It’s precisely this remoteness, however, that makes Hawaii storage auctions extra exciting. People strike it rich and go bust here all the time, and the tales told by storage property managers reflect this cold fact. Some people who have established themselves in the islands after decades of hard work and networking have built a small empire, only to watch it crumble in the past 2 years with the economic disaster. Others have brought their entire lives and homes with them via a shipping container only to find that Hawaii held no hope of success for them – they were now faced with the daunting task of somehow relocating their families and all their belongings again. What makes Hawaii storage auctions special is this remoteness. 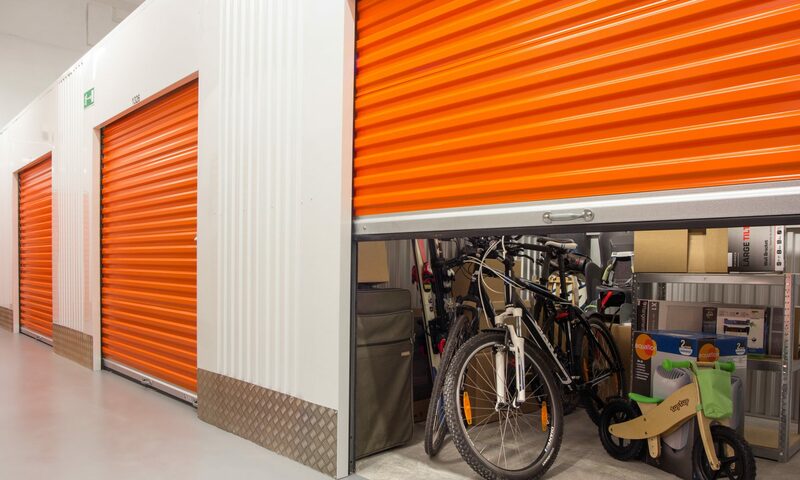 It forces difficult and costly decisions when it comes to storage and keeping or forfeiting your stored belongings. Sure, you get some of the usual junk units that have a dirty boogie board and one garbage bag full of sandy beach clothes. That’s to be expected. The young storage customer forgot to clean out their unit before they hopped on their plane for the next adventure and didn’t want to pay a cleaning fee to have the facility manager take care of it – easier to have it sent to auction. But just the same you get those really sweet repossessed storage lockers. The ones that a small but thriving company had packed full of thousands of dollars of high quality tools. Industrial chemicals. Equipment. Electronics. The commercial units are some of the biggest scores on the big island because of the high resale value of tools. Then there are the rich retiree units. They might not be big; sometimes just a little 5×5 packed halfway full. But you’ll notice that everything is organized and squared away in neat little boxes. They’re labeled and taped up. These are big scores. They usually contain at least one antique. Best of all, if you can poker face your excitement away for the duration of the bidding, you can represent the locker to less experienced bidders as a worthless collection of junk. But you’ll know better. When the older couples come out to retire in Hawaii and they package up all their antiques and heirlooms into individual boxes to put in storage, they’re not so much concerned about getting extra space they lack at home. Far more commonly, they want to use their storage space as a secured drop box for their most valuable possessions that they don’t want to keep in their homes. This is an ideal setup for what becomes a very valuable repossessed storage locker. The reason behind why the unit might have been sent up on the chopping block isn’t so important. Often enough, an otherwise responsive and responsible tenant will head off to another country or back to the mainland and forget to notify their storage company. It might sound ridiculous, but you would be surprised at how often the tenants seem to feel its the facility’s job to track them down and stay abreast of all their life changes.